Luke Skywalker is a Jedi and one of the main heroes of the Rebel Alliance. He is also the brother of Princess Leia and son of Anakin Skywalker a.k.a Darth Vader. He first appeared in the film Star Wars: Episode IV - A New Hope in 1977. Actor Mark Hamill portrayed the character in Episodes IV, V, VI and VII. 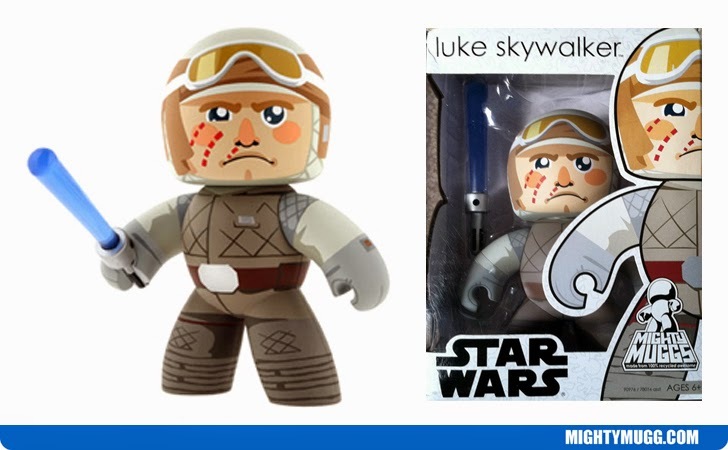 The Mighty Mugg above portrays him in his attire from the The Empire Strikes Back, where he battles a Wampa on Hoth and is rescued by Han Solo.